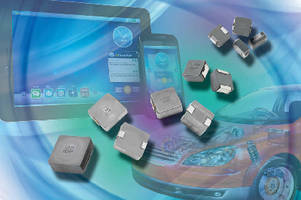 SMD Power Inductors use metallic magnetic materials. 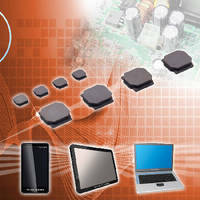 Measuring 4.0 x 4.0 x 1.2 mm, MDMK4040 Series serves as power inductors for choke coil applications aimed at power circuits of low profile digital devices, such as tablet PCs and Ultrabook™ devices. Series includes 5 models with inductance values of 0.47, 1.00, 1.20, 1.50, and 2.20Ã‚- Ã‚ÂµH andÃ‚Â max DC resistance of 29, 47, 47, 65, and 92Ã‚Â mΩ, respectively. 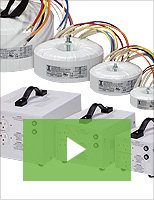 Inductive Chokes operate with frequency converters. 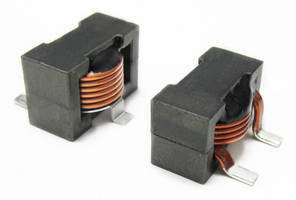 Common Mode Choke Coils work with SATA Gen 2/Gen 3 interfaces. 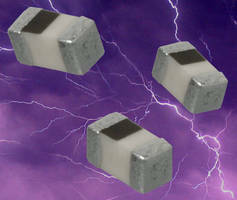 High-Current Inductor comes in 1.2 mm profile, 2020 case size. 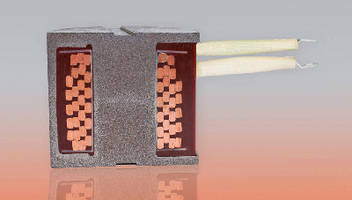 High-Current Inductors operate at temperatures to 155°C. Magnetic Inductor, Reactor enhance solar application efficiency.